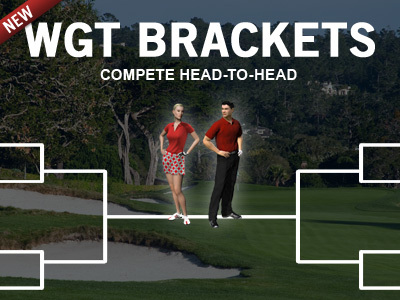 See what's new on WGT today, including new Tiered Brackets and some exciting virtual golf equipment. Brackets have quickly become one of the most popular multi-player games on WGT. 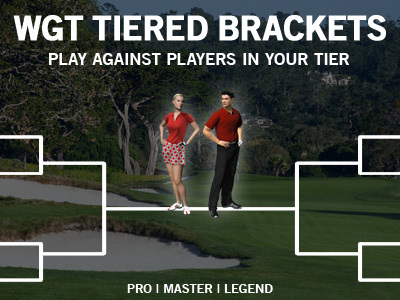 Now you can compete against WGT players in your same tier with new Tiered Brackets, available for Pro, Tour Pro, Master, Tour Master, Legend and Tour Legend players. Each Bracket includes 16 players who compete head-to-head over 4 rounds, with the top 4 players splitting the WGT Credit purse. Bracket options change weekly, including free or with entry fees, different stroke play courses, and 9 or 18 hole matches. 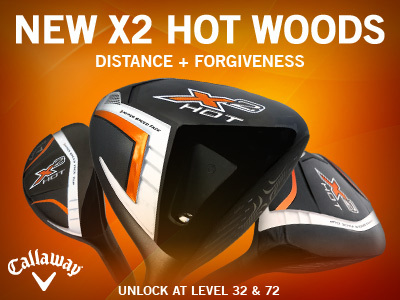 Get more trajectory, distance and forgiveness! The Glenmorangie Cup leaderboards continue to shift as notable WGT players post impressive single-play scores in the final Round 2. Top players will capture a share of the 200,000 WGT Credit purse which also contribute to overall Virtual Tour season standings and the December Championship with $10,000 in prizes. This month, players are competing on the Best of Famous course, with some of the most beautiful and challenging holes in all of golf. Currently sitting atop the Tour Legend tier is two-time Virtual Tour champion dansamcam (USA). After firing rounds of 53 and 55 for 108, dansamcam has a two-shot lead over ujjbnjk (Sweden) who posted 53 and 57 for 110. However, still in the hunt are several top Tour Legends who shot a 53 in Round 1, including: poldimaier (Germany), Justin9926 (USA) and the always-dangerous BolloxInBruges (USA), plus another 9 players with 54, all with a chance of catching dansamcam. The pressure is on! In other tiers, hatchy66 (UK) leads the Legends with 110, RoarEMackElroy (USA) leads the Tour Master tier with 114, Coland (Italy) leads the Master tier with 120, Amberhunt (USA) leads the Tour Pros with 117, and cun01 (USA) leads the Pro tier with a total of 118. 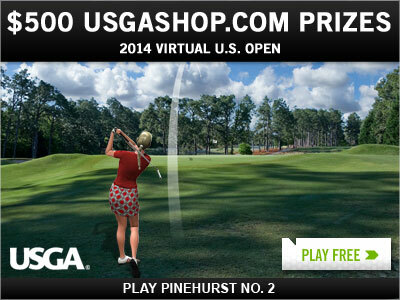 Be sure to play the Virtual U.S. Open Front 9 Challenge tournament on Pinehurst No. 2 for your chance to win $500 USGAshop.com prizes. Two players will each win a $500 gift card to USGAshop.com, the player with the top leaderboard score and another lucky sweepstakes winner chosen at random. The Virtual U.S. Open Front 9 Challenge tournament is free to enter, post your score by 4/30/14 for your chance to win. Famed Pinehurst No. 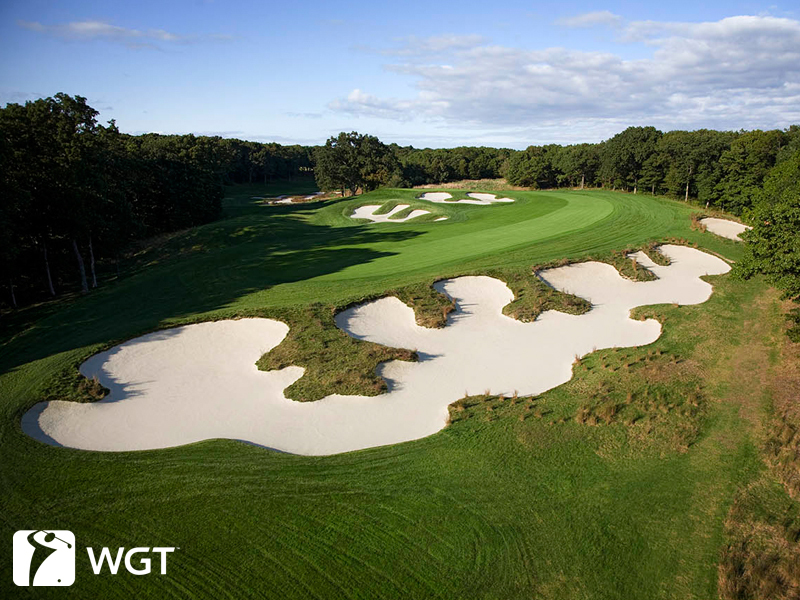 2 will be rolled out as part of the 2014 Virtual U.S. Open, with the full 18 hole stroke play Qualifier coming in May. Our most popular offer is back for the weekend. 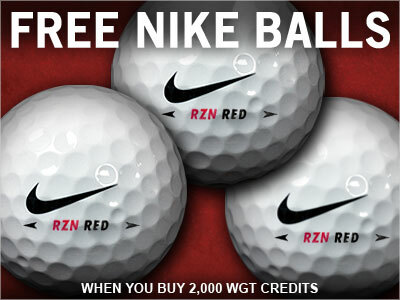 Get 3 free Nike RZN Red virtual golf balls when you buy 2,000 or more WGT Credits. The new high-performance Nike RZN Red golf balls provide more distance, plus a slower WGT swing meter to help improve your game. With these virtual golf balls, every shot will be easier to hit, go longer and stop on the green faster. If you really want to stock up on Nike balls this weekend, receive 3 Nike balls for EACH purchase of 2,000 WGT Credits. Use all your new credits to upgrade your other virtual equipment and play more match play, skins, tournaments and new brackets for prizes. 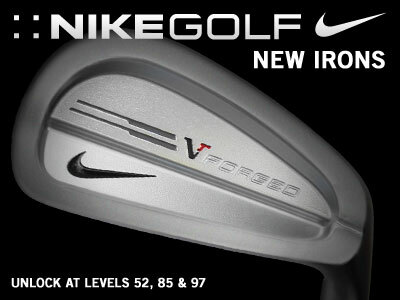 Note, the Nike virtual golf balls will automatically be added to your inventory but not automatically equipped. To play with the new golf balls, just open your Equipment and equip the new Nike RZN Red golf balls from your inventory. *Special offer for WGT players who buy 2,000 or more WGT Credits 4/26/14-4/27/14, receive 3 free Nike RZN Red virtual golf balls (Level 40+). Be sure to post your best Round 1 score in the Glenmorangie Cup by 4/25 to qualify to play Round 2 this month. Add to your WGT Virtual Tour year-long earnings by placing in the top 70 combined scores in your tier, and getting your share of the 200,000 WGT Credit total purse. Play in every monthly Virtual Tour event to quality for the year-end virtual championship and the live event in December with additional prizes. Visit Golf Channel for ongoing coverage of the WGT Virtual Tour throughout the year, including online scores, virtual leaderboards, updates and even interviews with WGT players, just like the professional tours! 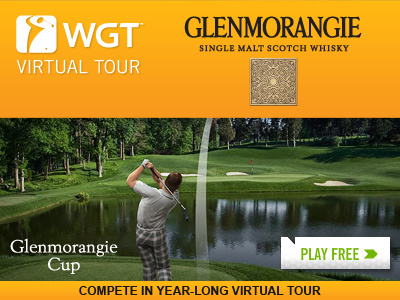 Note, this month's Virtual Tour event, the Glenmorangie Cup is available only on web not mobile. 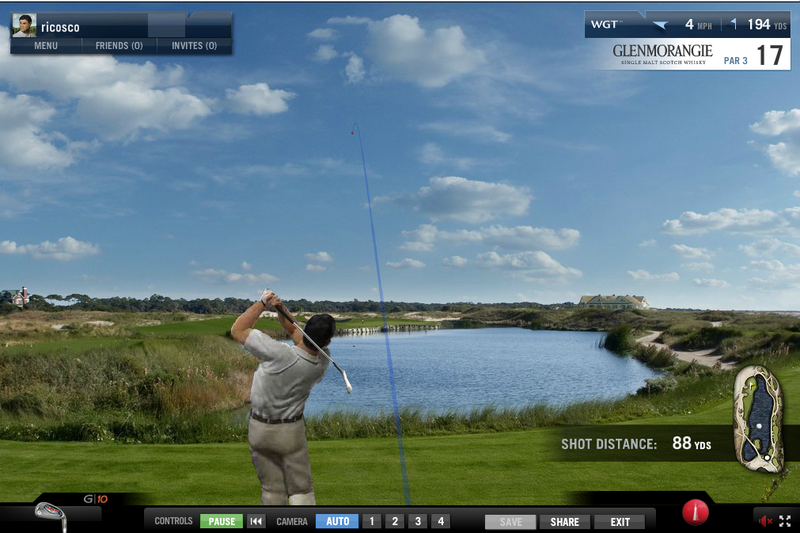 Competition in WGT Virtual Tour is underway this month in the Glenmorangie Cup on WGT. The tournament features an unlimited play first round concluding on 4/25 and a single-play final round wrapping up on 4/30. The Best of Famous Holes golf course on WGT includes some of the most challenging and beautiful holes from Bethpage Black, Congressional Country Club, Kiawah Island, Royal St. George's and St Andrews. Players are competing for a 200,000 WGT Credit purse that also contributes to overall season standings to determine who will qualify for the December championship. Currently leading the Tour Legend tier is Canada's GEHL13 with a Round 1 score of 52 followed by a group of talented players; including Transamerica Classic runner-up BolloxInBruges and IOA Open champ dansamcam, all sitting just one stroke back at 53. The Legend tier is lead by hatchy66 with 54 followed by WeidaDeNei at 55 and several other players just one stroke behind. WATCH Tour Pro tom2h hole out from the 18th fairway on Congressional Country Club. Players participating in the Glenmorangie Cup have until 4/25 to post a Round 1 score. The top 70 combined scores in each WGT tier will split the total purse and gain points that count toward overall season standings. 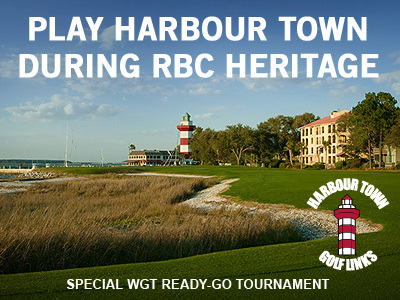 While you're watching the pros in the RBC Heritage this weekend, take on Harbour Town for yourself in special Ready-Go tournaments on WGT. Compete in these fun, quick tournaments for just 50 WGT Credits to enter, and the top 30 of 50 scores win credit prizes. Use credits to upgrade your virtual equipment and compete in paid match play games and tournaments for more prizes. WGT Brackets is the newest way to compete against other WGT players in a fun, head-to-head format. Choose to play either free or paid Brackets for WGT Credits and compete against other players, with winners advancing to the next round, until a final champion is decided. Note, free Brackets are free to play but don't have credit prizes. Brackets are only playable on web right now, not mobile. It's Free Rental Weekend on WGT during the Masters. So what clubs should you try for free? 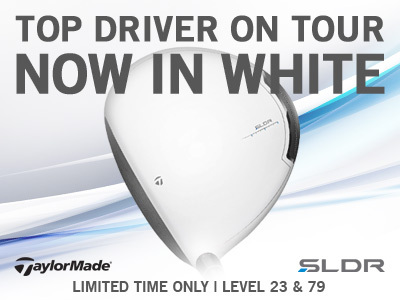 ...see top drivers, woods and hybrids here. To rent a WGT club, just visit the Pro Shop, find the club you want, click the RENT button, then play free for 24 Hours. 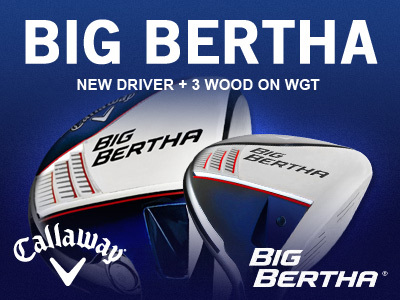 ...see top irons, wedges and putters tomorrow.